Hello, readers. You see that photo up there? That’s Michonne from The Walking Dead, played by Danai Gurira, and it is a promotional shot for season five of the AMC show. We have no idea why it’s special, but we were offered it exclusively, and that sounded cool. We did confirm, however, that it does not reveal any plot information about the upcoming season. Except, presumably, that Michonne will be in it. 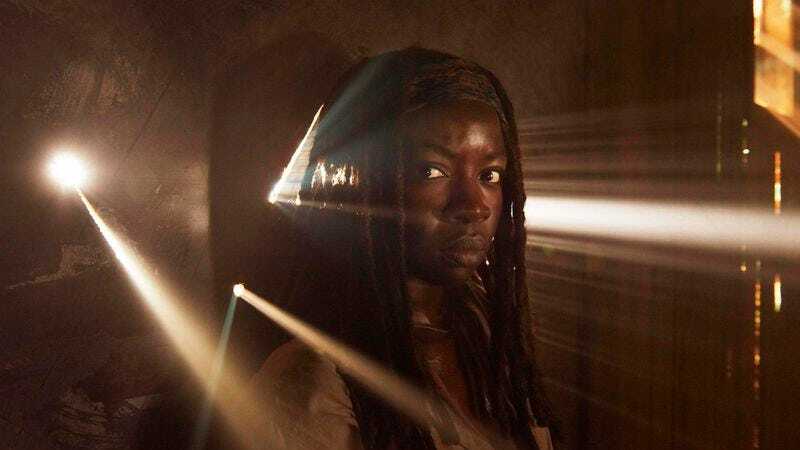 But we’re concerned: Where’s Michonne’s sword? as if her life depends on it (which, now that we think about it, it does). Perhaps sharp pinpoints of light will be her new weapon. Perhaps her sword is just out of view of the photographer, resting only briefly before returning to its rightful place near her head. The Walking Dead returns for its fifth season on October 12.